Sizable suite with a small kichen. Good view from our room. There are restaurants nearby. 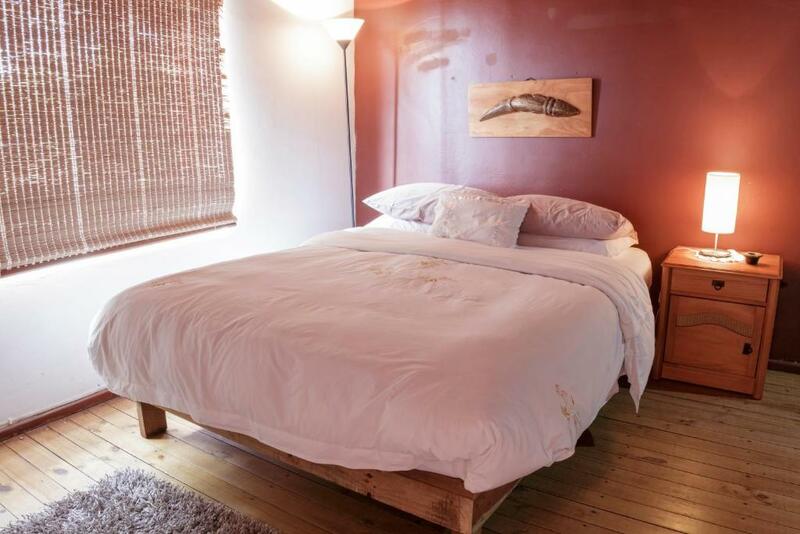 I very much enjoyed my six night stay at Cabañas Matavai in February 2019! The room I had was very comfortable and had a private kitchenette and washroom. Violeta the hostess was extremely helpful and kind- especially with my limited Spanish. She really helped to make me feel at home during my stay and arranged both airport pickup and drop-off which took out some of the stress of traveling which I appreciate. 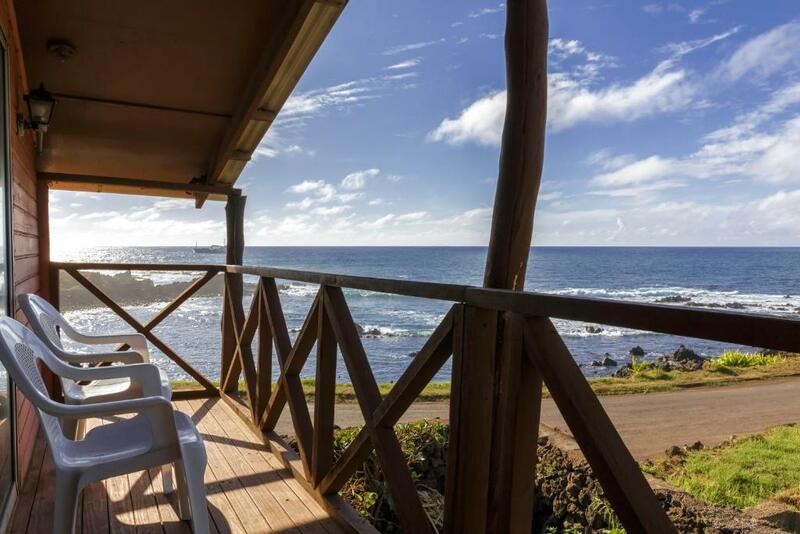 My cabana at Cabañas Matavai offered an ocean view from the common area and it is a comfortable and walkable distance to the main shopping and service areas of Hanga Roa. 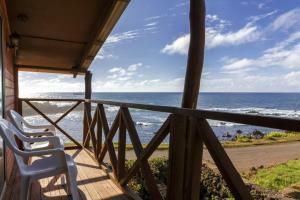 I will most definitely plan to stay at Cabañas Matavai again next time I am on Rapa Nui/Isla Pacua/Easter Island. Muchas gracis Violetta! Wonderful ocean view from the room. Loved the porch. Easy walk to town and restaurants. Friendly hosts. Stove to cook meals. Violeta is an amazing host. Very responsive, attentive, and helpful. The location is great; across the street from the water and have great views out windows from the bed and from the kitchen. Quick walk, 5-10 minutes max, to Moais and the "downtown" area. Safe area. 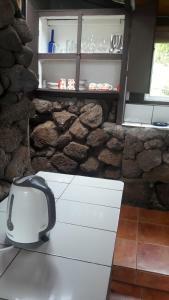 Kitchen was great, has all utensils and equipment and used it to cook meals and has a refrigerator. Comfy bed and plenty of space. Included in fee Violeta arranged for us to be picked up from airport and taken to airport, was greeted exiting airport door with sign with my name on it and leis. Was given maps and information right away and were able to hit the ground running to explore this amazing island. Would stay here again, thanks Violeta! Perfect location, great ocean view. Wonderful host. Kitchen nice with all you need to prepare meals. We stayed at the upper level of Cabanas Matavai which was an upgraded room. Spacious and the view over the ocean was spectacular! Two walls of the unit had a view across the street over the ocean. The balcony consisted of 2 chairs where one could sit and enjoy the view. Very close walking distance to "down town" Hanga Roa and its two main roads, restaurants and shops. Had a little kitchen area, fridge, hot water in the bathroom, hair dryer, friendly manager (?, not host), machine to boil water, coffee machine (with only limited sugar). We were picked up at the airport, driven directly to the property and given the key. Our apartment was right across the street from the ocean, and we had a nice balcony to relax and enjoy the view. The Hanga Roa town center was only a 10 minute walk away. Violeta was the best host, bringing us fresh fish from the market, gifts of wine and cake on Christmas day and doing our laundry all free of charge. Beautiful location right by the sea. Will miss this place! 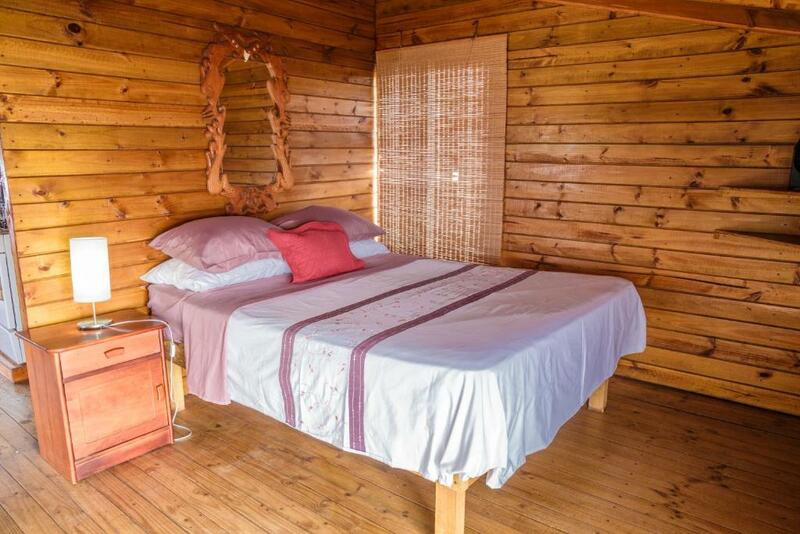 Lock in a great price for Cabañas Matavai – rated 8.6 by recent guests! 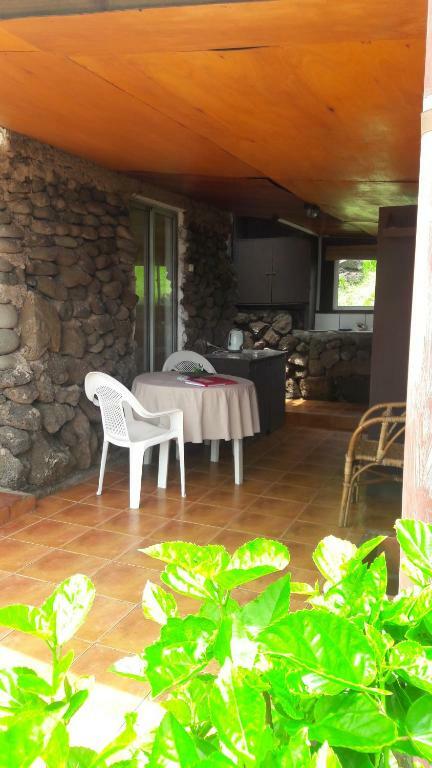 One of our top picks in Hanga Roa.Located in Hanga Roa, 12 miles from Ahu Tongariki, Cabañas Matavai has accommodations with free WiFi and a garden with a terrace. Some units include a balcony and/or a patio with sea or mountain views. 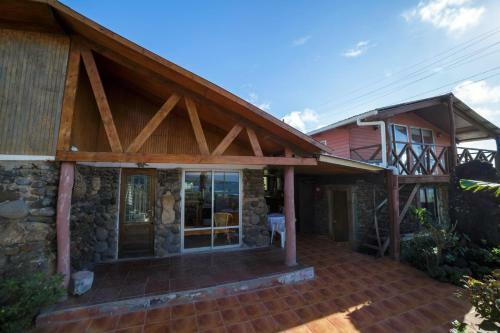 Tahai is a 20-minute walk from the vacation home, while Hanga Roa Anthropological Museum is 1.7 miles away. 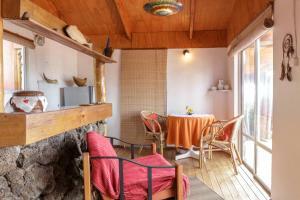 When would you like to stay at Cabañas Matavai? 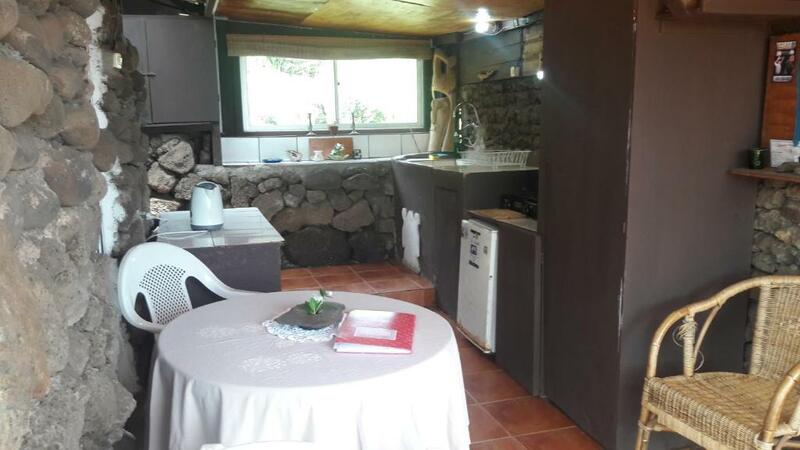 This holiday home has a balcony, patio and oven. This one-bedroom house features a bedroom with a private bathroom, and a separate room with a kitchen and dining area. la armonía de las cabañas van en tono con la naturaleza del lugar, están hechas en madera y piedra estamos situados frente a la bahía de Hanga Roa . 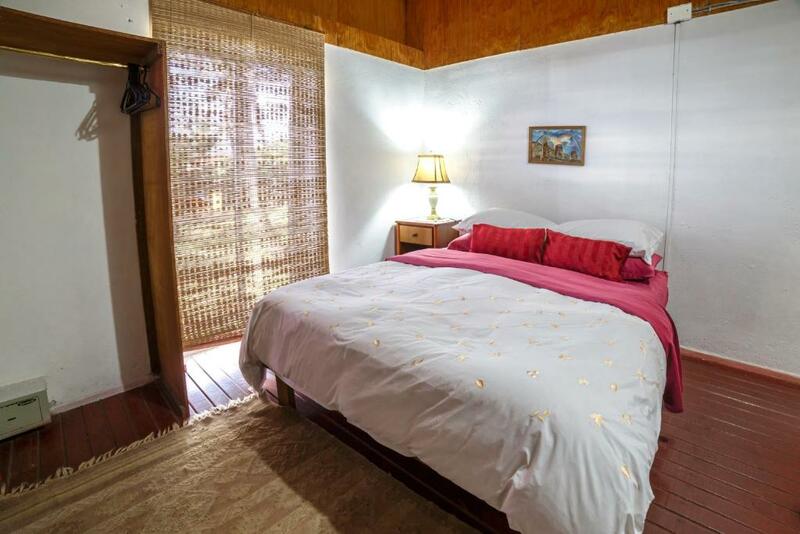 House Rules Cabañas Matavai takes special requests – add in the next step! Please inform Cabañas Matavai of your expected arrival time in advance. You can use the Special Requests box when booking, or contact the property directly using the contact details in your confirmation. A few minutes walk to town center. The WiFi was unreliable. 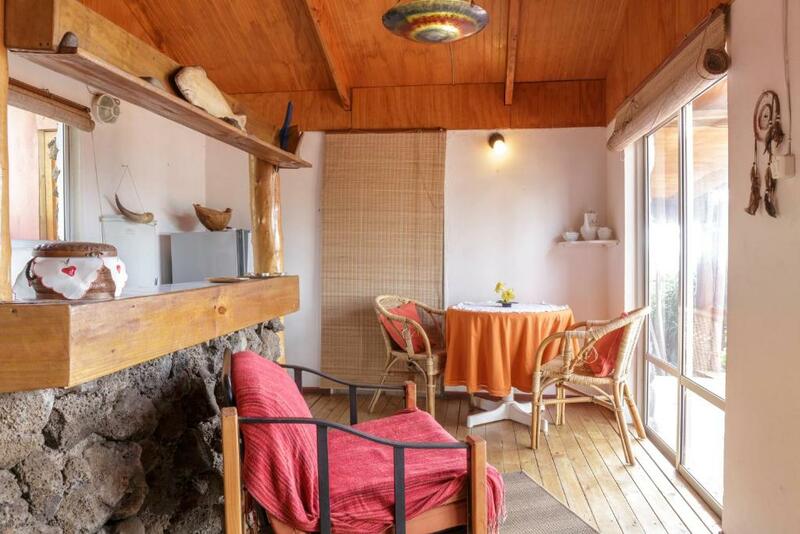 Flying to Rapa Nui is very expensive, and staying there is, too. No toiletry, Sometimes, there is a smell from the toilet. You need to waste a lot water to try to get hot water. Wifi is not accessible and not really important anyway. The view and the location!! The Cabanas is spacious and is comfortable for 2 to 3 people. Kitchen appliances and utensils are provided for cooking and boiling water. We enjoyed watching people and sunset from our balcony. The cold breeze, the sound of waves and the chirping of birds are value added. Airport transfer is free and on time. Basic facility compared to price (but everything is very expensive on Easter island) - basically no hot water! Amazing view on the sea!! Windows lack mosquito screens. Having those would be a great help. 1. Not matching the picture 2. It was not really clean in our room and bathroom 3. The kitchen was again not clean, smelly in the cupboards, the outside of the fridge is rusted, pots not clean and very old and used as everything in that area etc. This is the first time I write a negative comment and am disappointed in booking.com as a genius member that you offer this place to be booked. To be fair, we had the smallest room in the cabanas and the other two were better since I asked to visit them. A big disappointment. Nice budget accommodation......the wifi is weak-intermittent but that's normal.We walked to public wifi spot down the road but not much better. Fantastic place right on the sea, and in great location to depart for most of the island’s interest points. Violita was very kind and helpful! She even helped us for the laundry! Also they have a service airport pick up and drop off which is free! Upon arrival, we didn't like the size of the room, it was extremely small. So she offered us the one upstairs for an additional price. The only catch is that we had to wait 4-5 hours for them to clean it. We changed rooms as the one we saw on the website was very small by comparison in real life. So we took the larger one on the second floor which had a balcony overlooking the water. It had a kitchen, bathroom and the host was kind enough to do our washing for us. We were also picket up by for free (although you could walk to town from the airport) and we were also able to hire that vehicle for a reduced price.